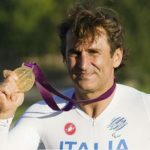 Alex Zanardi showed one of the most inspiring performances of the London 2012 summer as he won H4 hand-cycle class individual time trial gold medal and the hearts of millions. 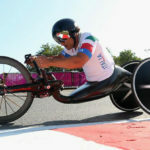 In the H4 hand-cycle class at Brands Hatch, where he once raced as a Formula 1 driver, the 45-year-old Italian’s time of 24min 50.22sec over the 16km course was good enough to clinch victory. Norbert Mosandl of Germany finished in second, 27 seconds behind, and United States rider Oscar Sanchez, finished in third, 45 seconds back. Alex Zanardi’s (Alessandro Zanardi) average speed of 38.652 km/h was considerably less than his previous best at the fabled circuit in southeast England. He sat on the track following his victory, and raised his lightweight bike, above his head, one-handed in triumph. 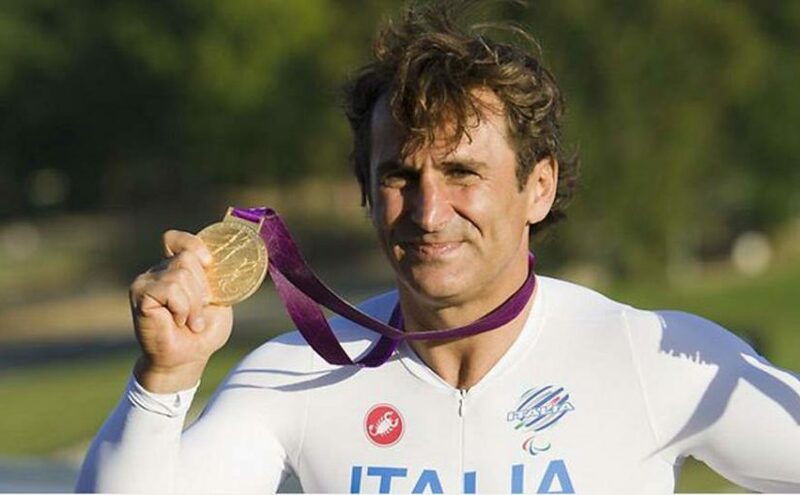 Alex Zanardi wins paralympics handcycle H4 class individual time trial gold medal. 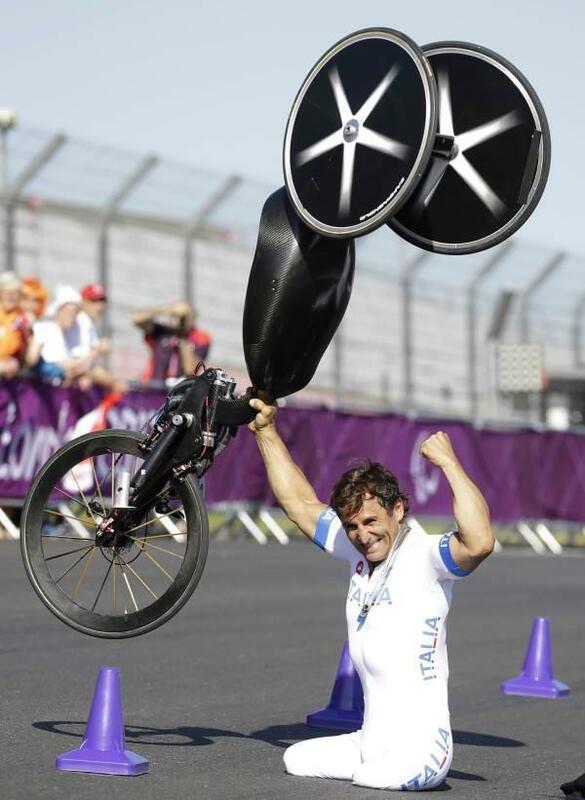 Zanardi lost both his legs and almost his life in an horrific IndieCar crash 11 years ago. You can read his story from here. 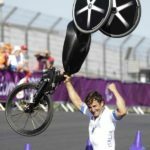 Alex Zanardi wins paralympics handcycle gold. Paralympics, London 2012. 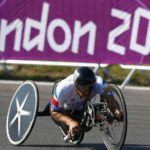 Alex Zanardi on the course.